So what is this recent dust-up really about (see the last couple of posts)? Being a philosopher and all, I'm supposed to sit back in my armchair, puff on a pipe, and make some observations. Let's start with the wrong view. The wrong view is that there are these two teams--the new atheists, and the accommodationists. (I hate that term--in fact, it's actually inane. Atheists are a tiny minority in the US. You need to have some power before you get to accommodate...or not. Better word: pragmatists.) Next part of this wrong view: since I'm an accommodationist, I've vouched for Chris Mooney, who is another accommodationist. To begin with, that construal doesn't even get the teams right. I do like Chris's pragmatism. (Basically, he seems to think we should first figure out what really matters. Then decide how to get there. And he thinks full frontal assaults on religion might not be the right way. OK...right. I'll buy that.) But I like some of the new atheists, too. My husband and I sometimes joke that we ought to set up a Richard Dawkins altar. We are huge fans of The God Delusion, as well as other books by Dawkins. I also love Sam Harris's book The End of Faith. It's not so simple for me to put myself on a team. So no, it's not "the new atheists vs. the accommodationists." 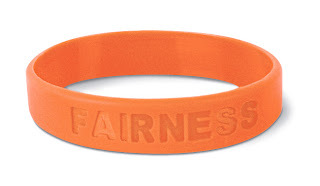 The right view is that this is about fairness. Look at how William's "confession" that he had made up Tom Johnson (and duped Chris Mooney) was greeted. Confession: July 7, 2:12 pm. At 3:39 Chris Mooney comes on and says he's shocked and will look into it. At the same time, PZ Myers comes on and says Mooney owes him a "groveling" apology. Despite Williams' admission of serial lying, PZ has believed him and gone even further. He'd made up his mind, with no evidence, that it was Mooney's fault he was duped. Watching the whole thing unfold, I thought--not fair. OK, duped. But culpably duped? How can we know that? After Chris's amazing revelations in this post, and especially after seeing the supporting evidence, I realized the reaction to William was even more erroneous than I had first thought. It was wrong to trust the guy--he'd just confessed to huge numbers of lies! It was also wrong to assume Chris had been culpable. His decision was regrettable--no doubt about it! But culpable for being duped? No. Alright--main point is: by vouching for him I really don't see myself as taking a stand on new atheism or accommodationism. This is just about basic fairness. Comments moderated. Be reasonable, be nice. * Take off on It's Not About the Bike, by Lance Armstrong. Yes, Jean, you are defending Mooney out of a concern for fairness, but you are being attacked because Mooney is an accomodationist, not because Mooney appeared to make a mistake about Tom Johnson or whatever he did. If Mooney had a blog about golf, no new atheist would have attacked him or you for defending him. What's more, if Mooney were a new atheist and had appeared to make the same type of mistake, no new atheist would have attacked him or you for defending him. There is an online war between Mooney and certain new atheists: in defending Mooney out of a sense of fairness, you stepped in the middle of a battlefield and you were attacked for that. That is very unfortunate, and I am sorry that it happened to a well-intentioned person like you. I believe you since I know you to be a meticulous, careful person about the data and facts that you present in your blog. Amos, Thank you for the last part. I don't normally do civilized, but hey, first time for anything. I do not think you are liar, but I do think you are allowing your perceptual biases to blind your reasoning. My final take on Mooney's position on this can be seen by clicking my name. (yes, spiritual) and ethical terms of the people who are attacking you, but this is not the moment to air my opinions online. Once again, I have not followed the Mooney wars at all, so I have no idea of what Tom Johnson represents or who he is. I do tend to trust your criteria. Without being able to lay out what I know, I can't convince you that my take on things is reasonable and objective, not biased. But by the same token, without your knowing what I know, you are not in a position to say that my take on things comes from bias. Re: the banning issue, which you discuss as well. It's one question whether people have been fair to Mooney, in quickly making up their minds he had been "culpably duped." It really is an entirely separate question whether he was fair to someone he banned. These are just two separate issues. I can't imagine why people think they have to be on the table all at once. This story is insanely complicated. I went out for dinner with some people Saturday night and had to laugh when I thought about what it would be like if I told them the whole story. They would think I'd lost my mind. Too complicated. Too many repetitions of the word "sock puppet." What the hell (they would think) is a sock puppet? Like...a puppet...made of a sock? I admire you for reading Dante. I tried to read him about a year ago. I had a nice edition with footnotes. I read about him online in preparation for the great task, but in the first or second canto, I got so bored that I couldn't pay attention. Have to work. Slander is spoken. Libel is written. Both involve defamation of character. "I don't think your banning is a crime for which Chris and Sheril owe you an apology." Once you said that, it was open season within that thread (as far as B&W denizens [aka Medieval Horde] were concerned), because you had taken a position on "the matter of banning," Exhibit A demonstrating Mooney's Very Bad Character. So while the issues (The Many Lies of Mystery Science Student X, The Unjust Banning of She Who Must Not Be Named) are strictly separable, it seems pretty clear how it got into that thread. "This makes no sense. It may seem to make sense to you, because you're familiar with what Mooney has shown you, but it makes no sense without that." Is a nice encapsulation of what most of the other comments in the thread insinuate (surprise surprise). Her sentence can be roughly translated: "you're not qualified to function as an independent judge of the evidence you've seen, as you've come to a nonsensical conclusion." I see no other way to interpret her statement as the only way to conclude that the conclusion you come to “makes no sense” is to disregard the fact that you have in fact SEEN THE EVIDENCE, and INTERPRETED IT IN A COMPETENT WAY. So ONLY by discounting your interpretation of the evidence (or denying that you’ve seen it at all) can your conclusion be dismissed. You see, it's not that you are necessarily LYING about the evidence, it's more that you are NOT A COMPETENT INTERPRETER of the evidence. They just aren't going to take your word for it, they want to see it for themselves so they can properly evaluate the evidence with the cool well trained eye that New Atheism gives people. (Though as it happens you MIGHT ALSO be lying, so that, e.g. you might get a spot on Point of Inquiry). So maybe it is about New Atheism. Not only do New Atheists have a much better senses of humor than the rest of us, they are also free of confirmation bias. Unlike, say, dirty pool playing accommodationists, and dirty dirty pool playing accomodationist lovers. I think some of the discomfort comes from the mere vouching for someone, who you disagree with. When I say I would vouch someone, I'm endorsing them as a person. So if I vouch for X, and my friends spend some time with X, and X tells some offensive jokes or acts inappropriately, my friends should have reason to be mad at me, since I vouched for him. Thats a normal context anyways.... in this context, I think it might be reasonable to say that your vouching for him may *appear* to be an endorsement of new atheism or accomodationism. Thus hurt feelings. Maybe you're not vouching for him at all Jean. 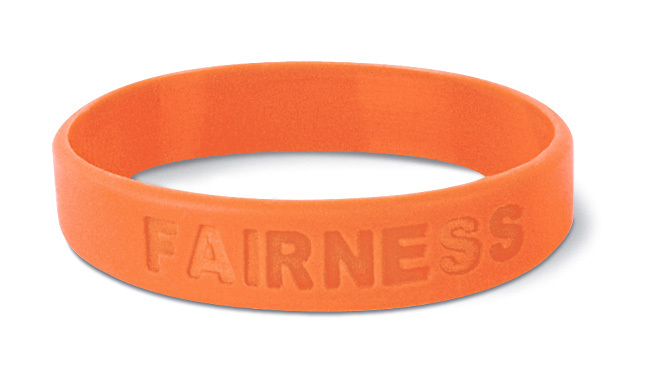 You're on the side of fairness. You're trying to be a referee here, and you're making a call that supports the visiting team. The home crowd doesn't like it, and they're just booing and hissing you for that, without recognizing that you're, at the moment, playing referee. Faust, The banning issue didn't come up just because I mentioned it! In that post she quotes me as dismissing the idea that Chris owes people (not her in particular) apologies. So the banning thing was very much on her mind, and I wanted to get it out of the way. Well, I haven't taken a class on PR. I should have just said it seemed to me the connection was very strained and we shouldn't have been discussing it at all. That's what I said later in the thread, but the cat was out of the bag. Today Chris Mooney wrote a post about the banning. It turns out there was no connection between the Tom Johnson business and Ophelia being banned--none whatever. She failed to fact check her complaint, and her supporters failed as well. Oh I know you were just responding to what Ophelia brought up, I was just noting that once you took ANY position on it that was direct and quotable, then, as you say, the cat was out of the bag. That's particularly true given the additional backstory, of which I hadn't been aware. But then, there is only so much of this storyline that I can digest before needing a stiff drink. Martini? They ought to have a girl scout merit badge in Tom Johnsonology. It takes hard work and perseverance to master the whole story. Try reading Alister McGrath's 'the Dawkins Delusion' and then see if you still want to set up an altar TO Dawkins or one FOR Dawkins!